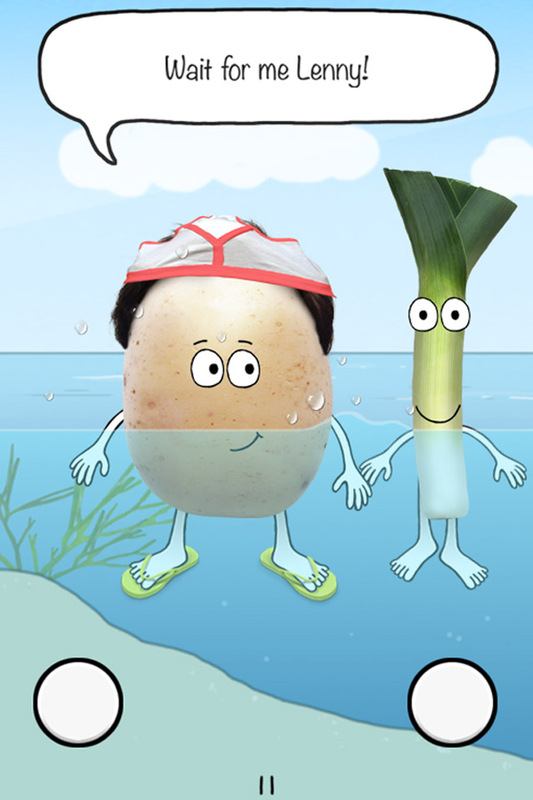 Peter Potato: A Vegetable Adventure! 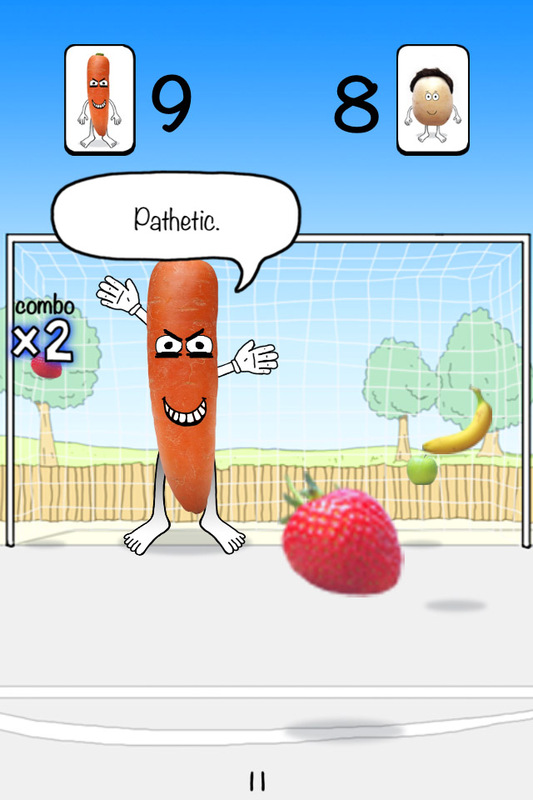 ‘Peter Potato’ is a quirky, action-packed game about a shy, clumsy potato who is helplessly in love with a cabbage. 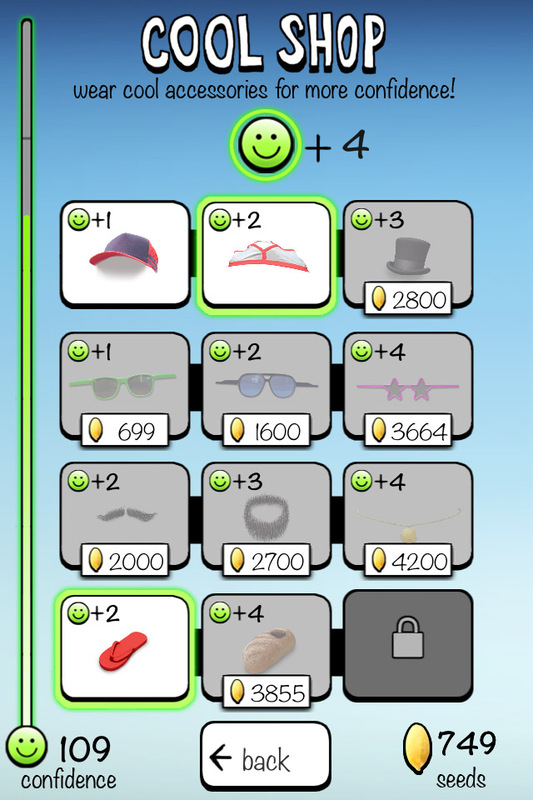 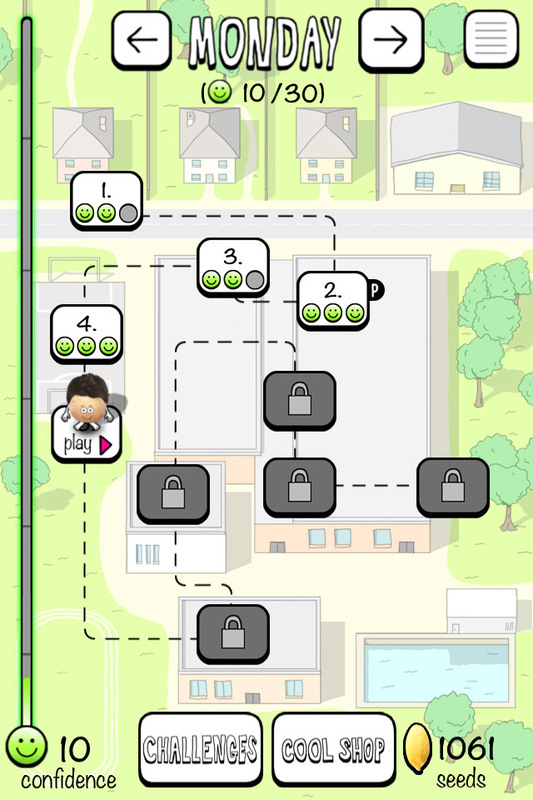 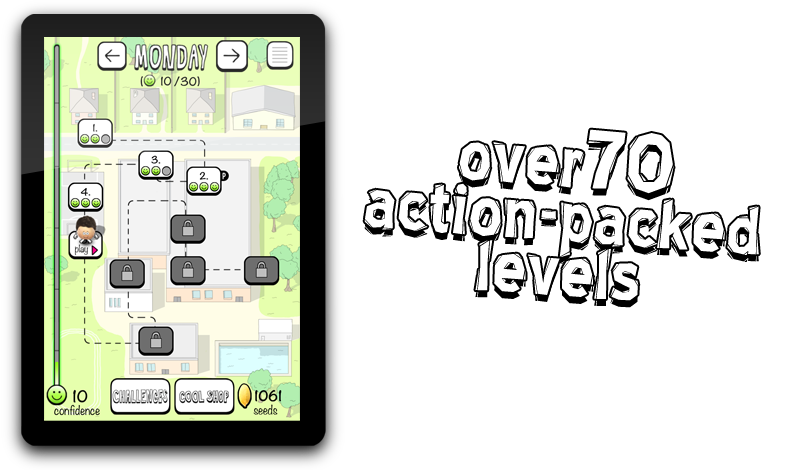 The game unfolds over 70 fast-paced mini games – testing your skill, speed, accuracy, rhythm, memory, and intellect in all sorts of tricky and exciting situations. 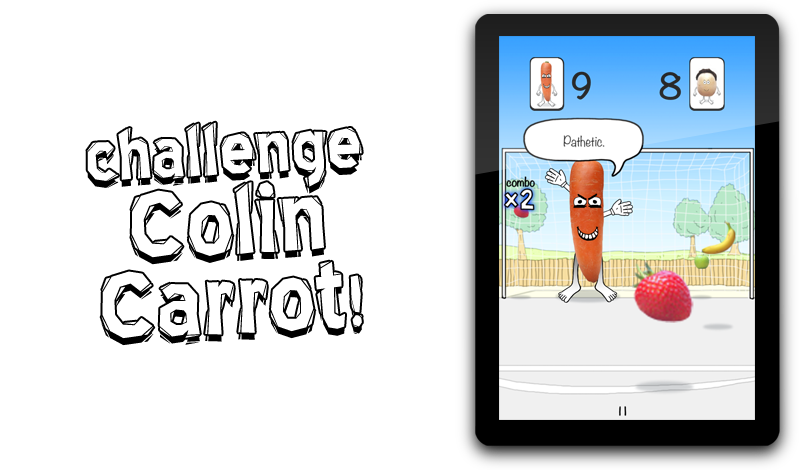 It follows Peter Potato as he tries to build up enough confidence to ask Suzy Cabbage to the school disco – before his evil archenemy Colin Carrot beats him to it! 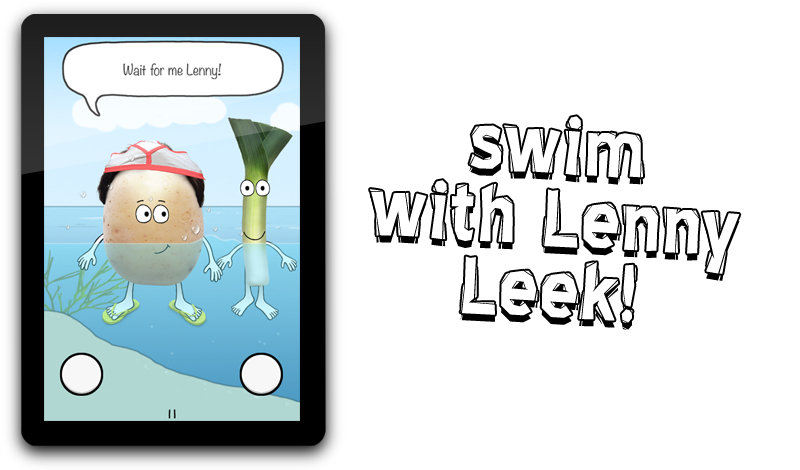 The adventure takes place over 5 days of vegetable school life, and will see you helping Peter increase his confidence by dazzling with slick Turbodance moves, speedily swimming with Lenny Leek, wowing with super-cool new clothes, mastering Manicmaths, perfecting Fruitball with Lily Onion, and flabbergasting with lightning snowboarding speed. 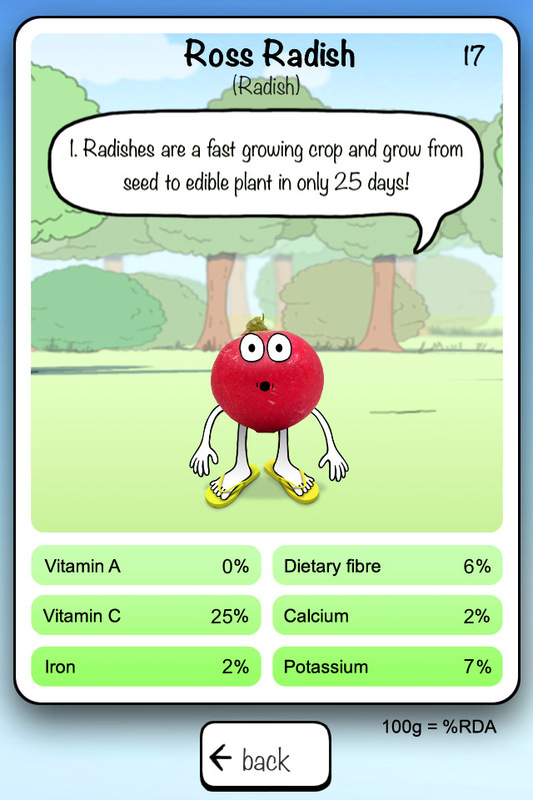 You’ll unlock accessories, meet and compete with vegetable friends and enemies, collect seeds, discover fun nutritional vegetable facts – and (hopefully!) 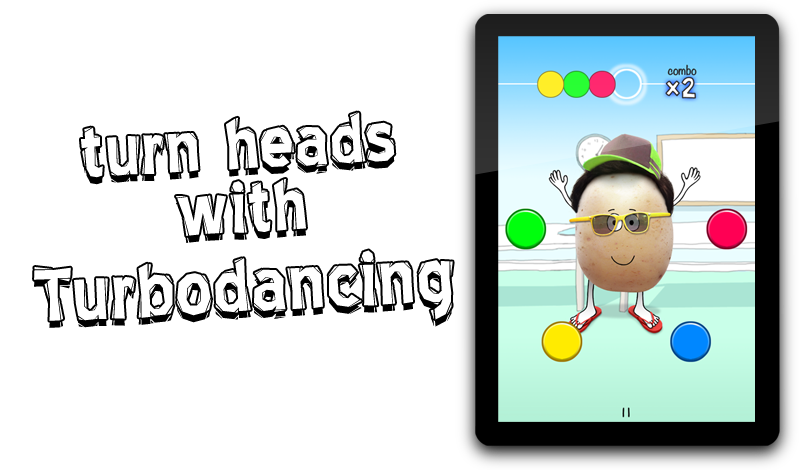 take Suzy Cabbage to the school disco! 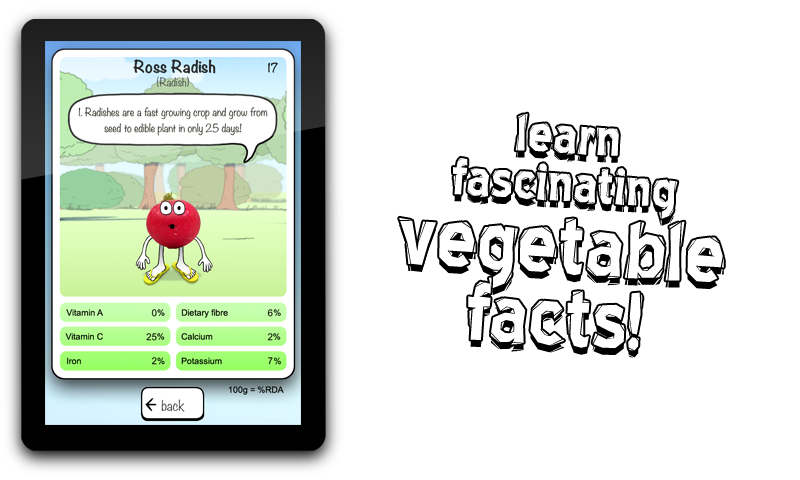 – 150 vegetable facts – encouraging healthy eating! 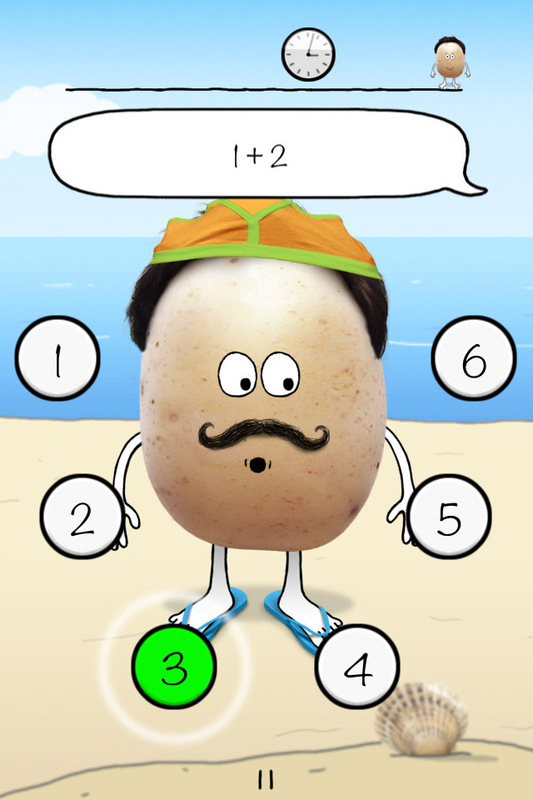 ‘Peter Potato’ is made by Bueller Games, an independent games company based in Cornwall, and was grown from a seed of inspiration in the rural countryside of England. 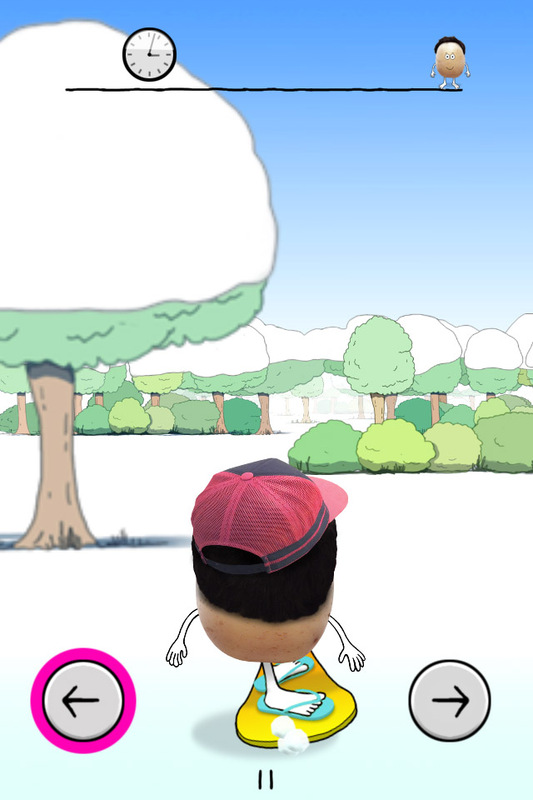 The game is available on the App store for £2.99 on 19th February 2015. 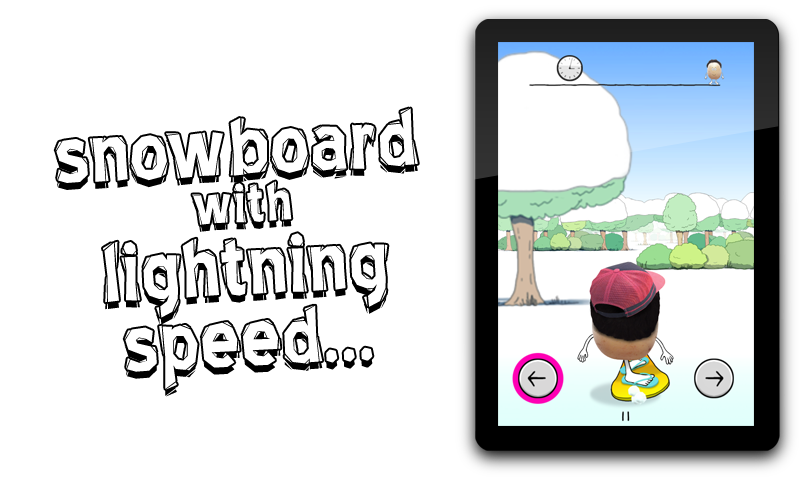 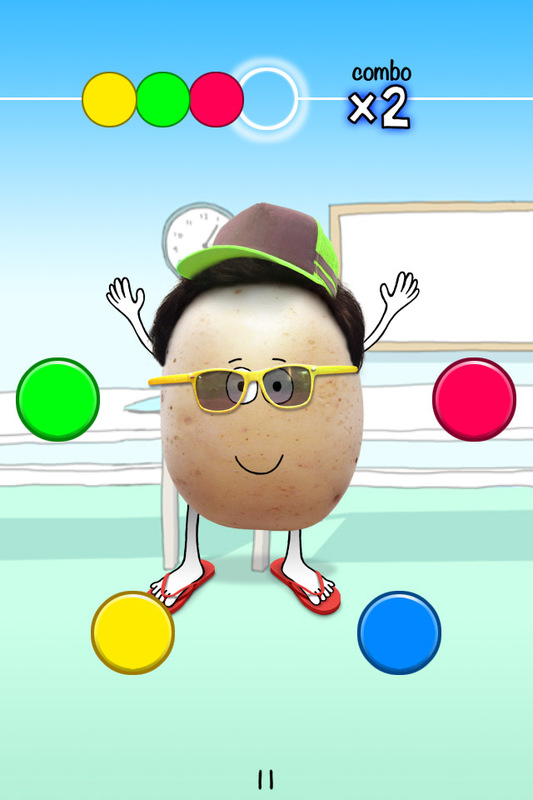 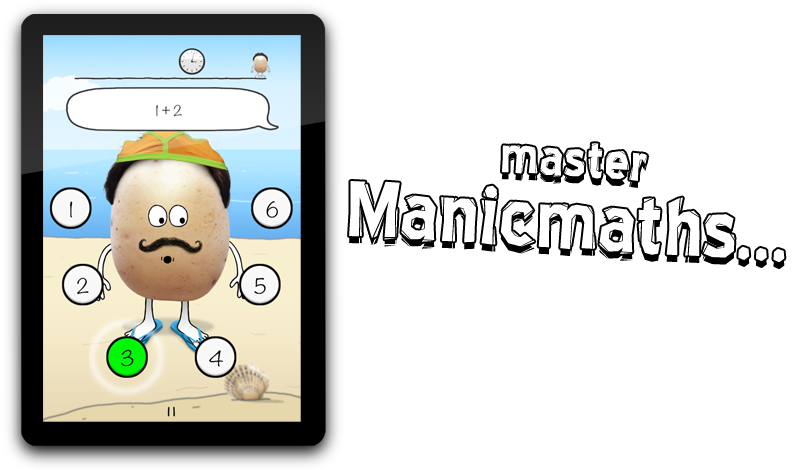 Don’t stand by and see Peter Potato’s dreams get mashed; DOWNLOAD THE FUN TODAY!